Pictures hold your memories of special moments alive. Give your photos a proper place - with high-quality albums of the Goldbuch collection Bologna. The standard albums present themself in genuine leatherette and their classic colouring makes them to a perfect companion for every occasion. Set stylish accents and turn beautiful moments in life into unforgettable memories. The three albums of the Goldbuch BOLOGNA collection are characterized by it`s unique leatherette cover, which is hardly distinguishable from natural leather and it's classical elegance. 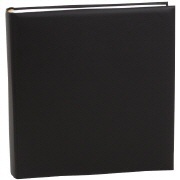 These photo albums are the best place for your most precious treasures. 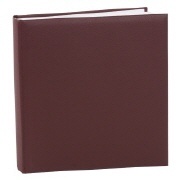 We offer you a choice between a black, cognac or bordeaux photo books. All photo albums are avaible in extra large size of 35 X 36 cm, each with 100 pages for your most extraordinary photos.